Brano of the Czech Republic are a component supplier to the automotive industry specialising in items such as jacks, door locks, hinges, foot pedals and suspension parts. Brano's passenger car customers are household names; Mercedes, Volvo, Skoda, Suzuki etc. In addition to their main business, Brano also have a commercial vehicle division and this division offers a small range of diesel fired combustion heaters designed and manufactured in the Czech Republic. With Brano's main commercial customer being the specialist off-road truck builder Tatra Trucks, there is an occasional requirement for Brano heater parts and servicing in the UK which Espar provides. 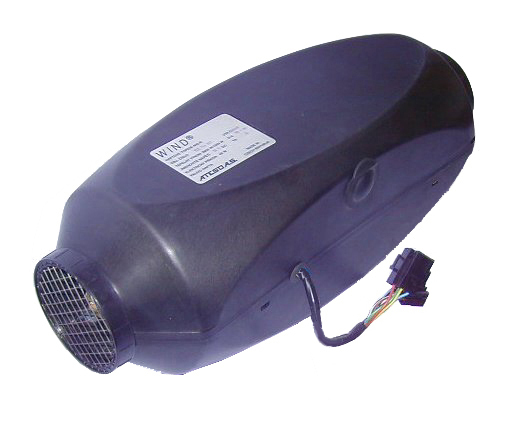 We hold spare parts for the Breeze and Wind heaters as well as complete heaters for when repair is not cost effective. Espar have the Brano diagnostic software which makes fault finding Breeze and Wind much easier. automatic, continuously adjustable from min. to max. With an output of 1.9kw, the Breeze heater is suitable for use in standard truck sleeper cabs as well as smaller motorhomes. 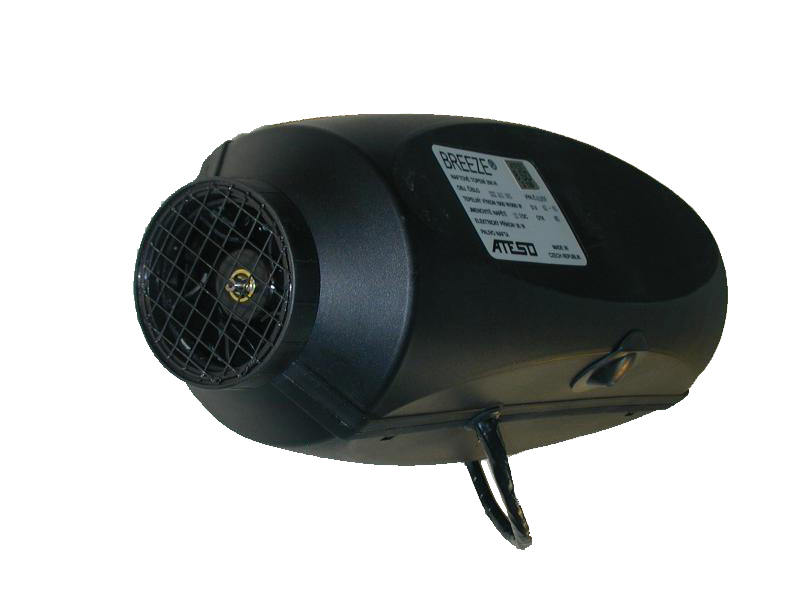 A diesel fired air heater with continuously adjustable regulation, the Breeze has a cast aluminium heat exchanger and low current glow pin ignition. A basic vehicle heating kit comprises heater body, fuel metering pump, full cable harness, cab control switch, combustion air intake and a short 0.5m exhaust. With an output of 3.8kw, the Wind heater is suitable for use in trucks with maxi sleeper cabs as well as mid to large motorhomes. Wiith continuously adjustable regulation, the diesel fired Wind has a cast aluminium heat exchanger and low current glow pin ignition.